A child picked up a broken cinder block near a play area outside his apartment building. Then, he carried the eighteen-pound stone up three flights of stairs and into his personal residence. Moments later, he dropped the concrete block off the balcony where it hit an unsuspecting neighbor who was standing below. Is the landlord liable for those injuries? Two levels of appellate judges in Connecticut say yes. In doing so, these justices have expanded premise liability for landlords. While two dissenting justices says that this expansion of liability is tantamount to ordering every landlord in Connecticut to clear any and all objects that could be thrown or dropped off balconies, the result could reach farther than that. Tort law, including premise liability and attractive nuisance cases, don’t always remain within state borders. Judges often will look at decisions from other states, especially if the facts are similar, before making up their minds on whether a landlord is liable. In this case alone, in addition to Connecticut law, the justices looked at cases from Illinois, Virginia, Hawaii, Massachusetts, South Dakota, Indiana, New Jersey, Ohio, Minnesota, New Mexico and California. Ordinarily, the duty a landlord owes to tenants revolves around the foreseeability of injuries. Every landlord must exercise reasonable care in eliminating common or foreseeable risks. That implies a duty to inspect a property, and to quickly make repairs or provide warnings in order to prevent injury. Here, the justices ruled that because the landlord had a duty to keep the property in good repair, and a tenant complained about debris in the back yard, a “continuum of harm” resulted, and the landlord could be liable for any injury that flowed from the failure of that duty. Because the kids in the apartment complex could have tripped on the rock, or been scratched or cut by it, then any subsequent injury resulting from that cinder block is foreseeable. Two justices disagreed with their colleagues, and in a compelling legal opinion, argue that this logic breaks down when you consider that the landlord could be liable if the boy had carried the rock up the stairs and then waited for several days before pushing it off the balcony, or even if the child carried the concrete to a different apartment building and caused injury there. What’s more, just about any object, from a chair or bicycle to a landscaping rock, could cause the same harm. That, the dissenting justices hold, is the same thing as saying that a cinder block is an inherently dangerous object, like exposed electrical wires, or a loaded gun. When this case first came to trial, the original judge dismissed the victim’s claim, holding that a landlord could not be held liable as a matter of law because this event simply was too difficult to predict. That judge also found that as a matter of public policy, landlords should not suffer the burden of predicting and insuring against such errant behavior. However, after appeal, the majority justices voted to bring the case back to life. The majority justices also were criticized for not giving more weight to the deliberate actions of the boy who dropped the block off the balcony. The facts reveal that he called down to the victim as the block was falling to warn her to step aside. Although his actions were not malicious, his words suggest they were intentional, and that precludes the landlord from being liable, the dissenting justices argue. Public policy considerations come into play in premise liability cases. That’s because increased liability for landlords could have devastating impacts on renters. 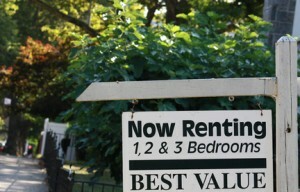 Landlords may suffer higher insurance rates, and pass those costs on to tenants by way of higher rent. An expanded duty to protect may diminish a landlord’s desire to provide a play area for children. But here, the majority ruled that the landlord’s burden was relatively small, amounting to “a few hours of manual labor and perhaps the occasional use of a pickup truck.” The justices say that to find otherwise creates too difficult a burden for parents tasked with supervising their children. The Connecticut Supreme Court did not assign liability to the landlord in this particular case, but rather determined that he may be liable. The rest will be up to a jury when the case goes to trial. While failing to remove the debris from the backyard may not have caused this injury, having cleaned up the play area after a tenant complained may have made a better impression on the jury who ultimately will decide the case. I think the tenant should watch their kids and be held responsible. What if the kid picks up an object elsewhere and drags it home? This is getting a bit far fetched. Landlords can’t be babysitters 24/7 .